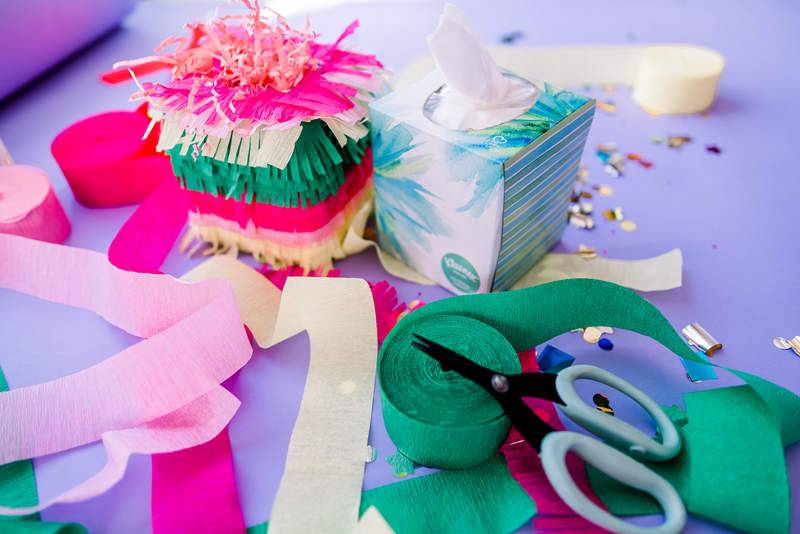 Inside: Spring Break Pinata DIY sponsored by Kleenex® Brand. All opinions expressed are my own. 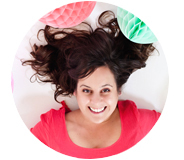 Spring break is here, and we’re looking forward to lots of extra time for crafting fun! Coming up with fun spring break ideas can be hard when you don’t have a huge vacation planned. 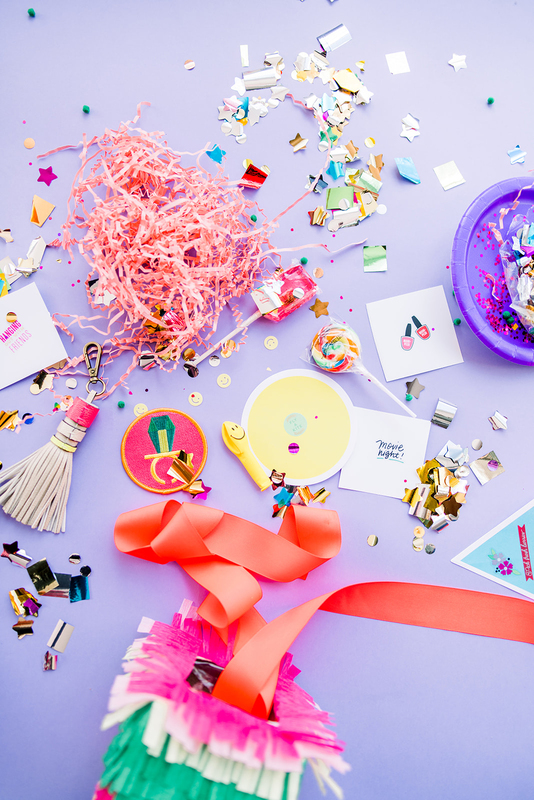 But, I’ve found it can be equally fun to create our own break at home with easy and affordable crafting supplies, like our empty Kleenex® Brand tissue box and some confetti! We always keep these Soothing Lotion tissues on-hand. 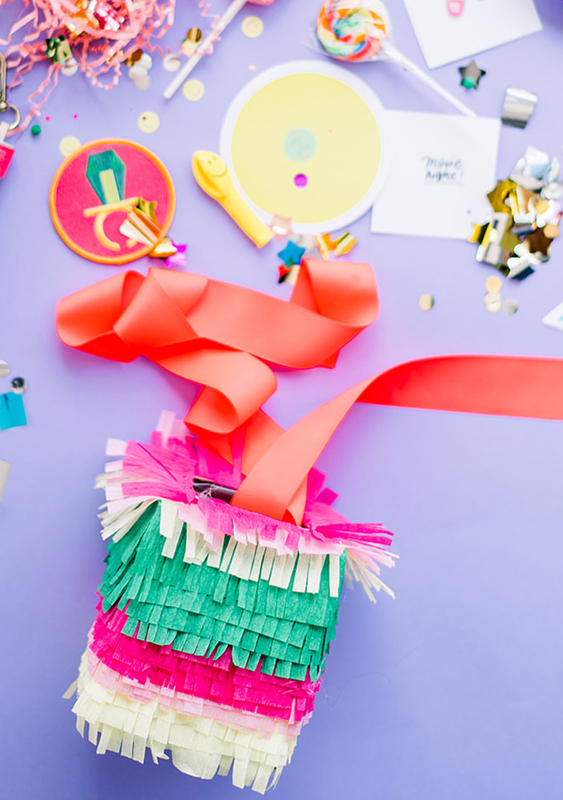 Now, we’re reusing the box for a piñata DIY filled with everything you need for epic spring break fun! We filled our spring break piñata with so many delights that the kids will be glad we stayed home! We included cute new patches for creating new outfits, balloons and toys. Most importantly, we stuffed our piñata with little coupons for all the fun activities we have planned for the week ahead. 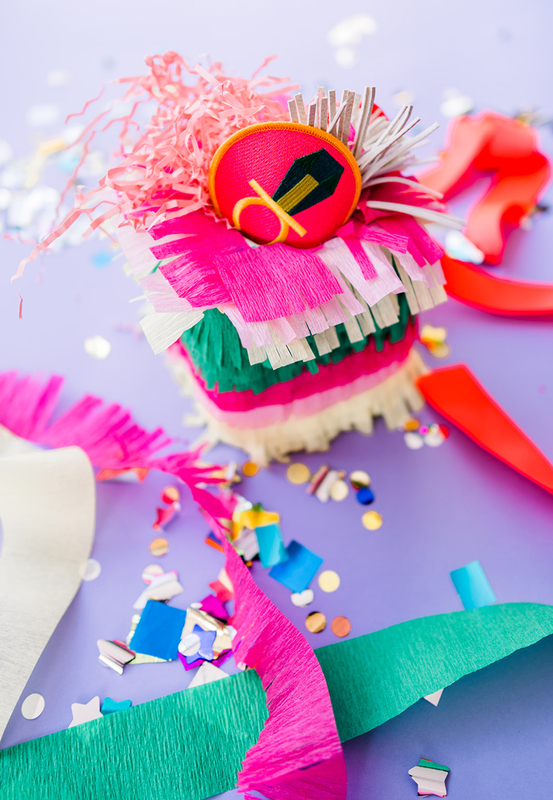 Movie night, pedicures and family picnics take on a whole new appeal when they bust out of a piñata also filled with confetti! And fun spring break activity “coupons” to stuff inside! 1. Once the Kleenex® Brand box is empty, it is ready to use! 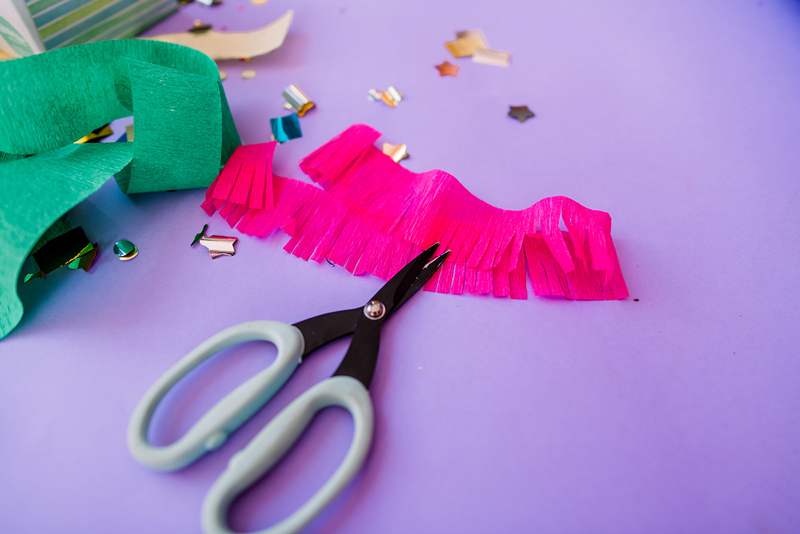 Start by cutting your streamers into the right length to go around the box. Play with colors here, really anything goes! 2. Once the streamers are cut, you will cut upwards to make small slits in each one (about 3/4 of the way through the streamer). 3. Starting at one side of the box, go around it and glue the streamers down as you move. Piñatas look best when you start at the bottom. 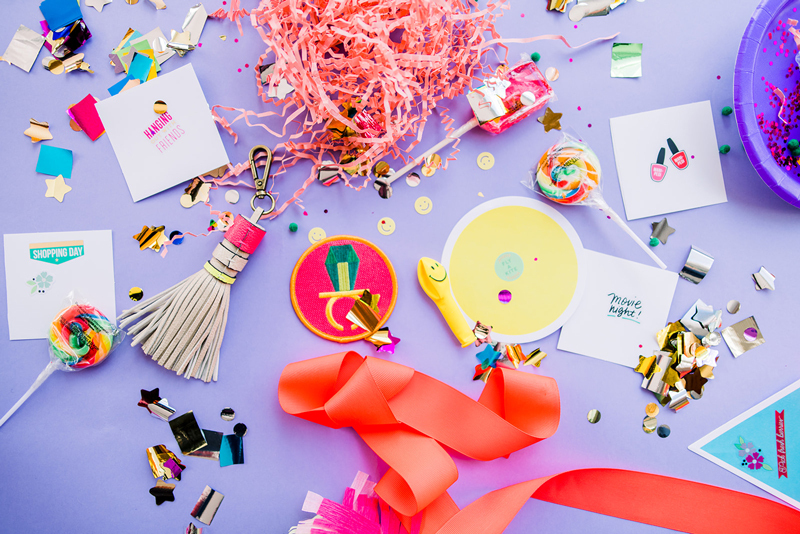 Stuff your spring break piñata with everything you need to have a vacation right at home. Fill it with fun ideas like the best spring crafts for kids. Happy spring break crafting! What are your plans? 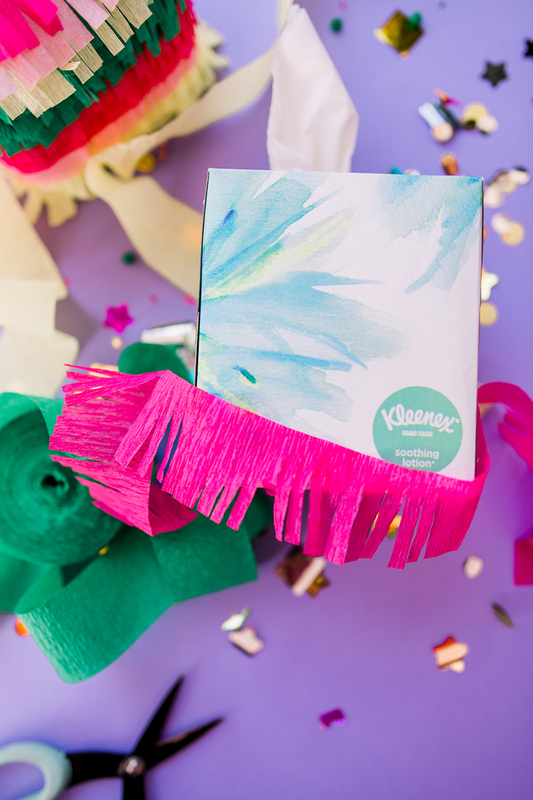 Grab your box of Kleenex ® Brand right here to kick it off right with a confetti-filled bang.